The Gunpowder Plot of 1605 - A secret plan to overthrow the king. In November 1605, the infamous Gunpowder Plot took place in which some Catholics plotted to blow up the English Parliament and King James l, on the day set for the king to open Parliament. The men were angry because the king had treated them badly and they didn't like it. 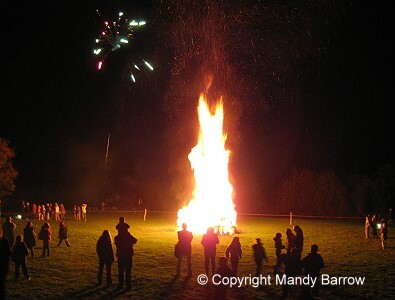 The story is remembered each 5th November when 'Guys' are burned in a celebration known as "Bonfire Night".